Patients taking methadone may have withdrawal reactions to buprenorphine up to 72 hours after last use. Consider consultation before starting buprenorphine in these patients. 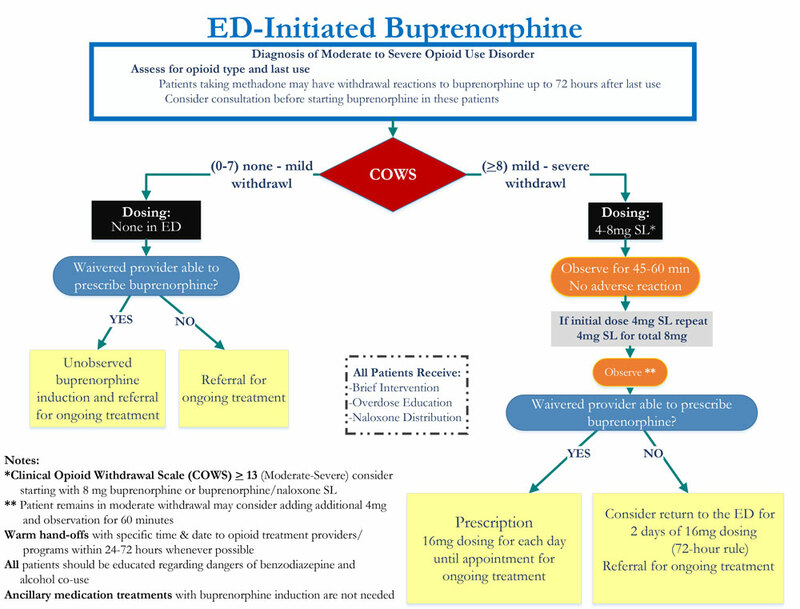 Waivered provider able to prescribe buprenorphine? ***May consider high dosing (total of 24-32mg) in consultation with an Addiction Specialist if the patient will not have access to buprenorphine >24 hours.